Art and other expressive therapies are increasingly used in grief counseling, not only among children and adolescents, but throughout the developmental spectrum. 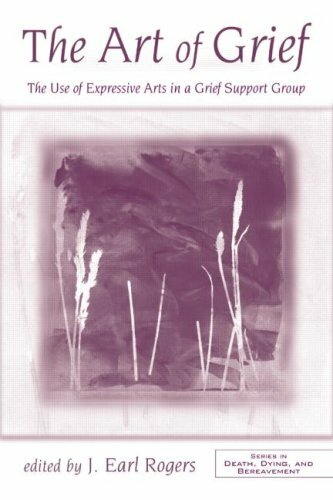 Creative activities are commonly used in group and individual psychotherapy programs, but it is only relatively recently that these expressive modalities have been employed within the context of clinical grief work in structured settings. These forms of nonverbal communication are often more natural ways to express thoughts and feelings that are difficult to discuss, particularly when it comes to issues surrounding grief and loss. 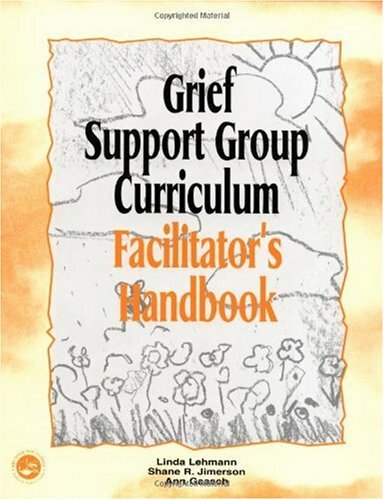 Packed with pictures and instructional detail, this book includes an eight-session curriculum for use with grief support groups as well as alternative modalities of grief art therapy. 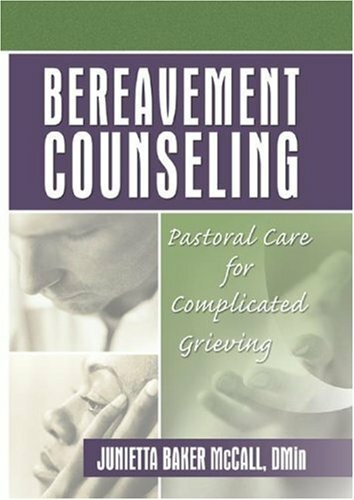 Bereavement Counseling: Pastoral Care for Complicated Grieving is a practical guide to the assessment and treatment of complicated grief responses, using a pastoral approach that combines clinical and spiritual care. The book addresses current theory, observations, and experience, and examines changing approaches and developing standards of practice. The author, an ordained minister with an extensive background in pastoral counseling, integrates spirituality into the grieving process by focusing on the partnership between spirituality and healing, the resources of spiritual practices, and the functions of counseling and spiritual/pastoral psychotherapy. By providing usable treatment strategies, sharing standard interventions, and promoting technical skill for caregivers, Bereavement Counseling: Pastoral Care for Complicated Grieving places sustained emphasis on giving voice to grief and recovery. The author draws from more than 20 years’ experience in ministry, teaching, supervision, consultation, and therapy to present stories, vignettes, and poetry that give depth and life to the grieving process. These vignettes provide a unique insight into health, bereavement, and healing and create a living context for maintaining a person-centered focus that promotes meaning and leads to positive outcomes. The book provides templates as assessment and treatment planning aids and includes an extensive bibliography of up-to-date journal articles that reflect the latest research in the field. has been most helpful to me as a grieving spouse. I highly recommend it. it in the mail yet, I am very unhappy with the service of the seller. I was suppose to receive it the latest Feb. 5, it is now Feb 13. The family is intimately involved in the care of the dying and themselves require support through their experience of both palliative care and bereavement. This innovative book describes a comprehensive model of family care and how to go about it. Family Focused Grief Therapy is an approach which is new, preventive, cost effective and with proven benefits to the bereaved. It proffers a highly original and innovative approach to bereavement care, one likely to revolutionize psychosocial care in oncology, hospice or palliative care and grief work. The book has been designed rather like a therapy manual, providing a step-by-step approach to assessment and intervention. Its rich illustration through many clinical examples brings the process of therapy alive for the reader, anticipating the common challenges that arise and describing how the therapist might respond. Families are recognized throughout as a central social unit, pivotal to the success of palliative care. This book is a wonderful tool for those of us who are "challenged" when it comes to providing emotional support to others at a time of loss and desire to do more than give/send garden variety bereavement cards. Because the book is spiritually uplifting rather than oriented towards religious beliefs and teachings, it is appropriate for giving to everyone from business associates to close friends and loved ones. A nice touch is a page near the beginning of the book where the sender can dedicate the book to an individual's memory. Sharon Gilchrest O'Neill has assembled a collection of thoughts, quotations, and short exercises about grieving, inspired by work with the Connecticut Hospice, Inc. Each page contains a single thought or quotation, or a chance to express the reader's own thoughts or feelings about a particular topic. The book is divided into sections like Memories, Treasured Possessions, Happiness...Sadness, but it's sometimes unclear how the pages in each section relate to the section topic. What struck me most about the book was that it would offer someone mired in the chaos of grief short bursts of thought, not requiring sustained reading or focused attention. For someone looking for a narrative thread, or a unifying philosophy, this book is not the place to look. I couldn't help but contrast it with Joan Didion's Year of Magical Thinking, a treatise on Didion's own process of grief, of working through the stages of feeling, thought, and emotion. O'Neill's book, in contrast to Didion's treatise-like work, gives us bursts of thought, short quotations, and the chance to jot down a few of our own thoughts. About the quotations: I am often disconcerted by quotations in a book like this, where people are quoted out of context, and the reader is given nothing to put the quotation in context. Sometimes the quote is from someone familiar, like Carl Jung or Sinclair Lewis. We may not all be familiar with Jung's or Lewis' work, but we have something of a framework in which to place them. We can find their writings, read their novels. But, who is John Gray, and how does he relate to the experience of grief? The writings of the author seem to be designed to provoke movement in grief, to give the grieving person a different perspective, a way to begin to think about how life has changed, and will change more. 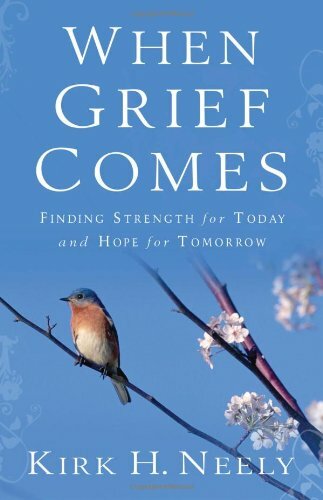 Armchair Interviews says: For someone who needs some inspiration, a sense that they are not alone in this experience, and a way to find brief, accessible musings on grief, this book could be very helpful. 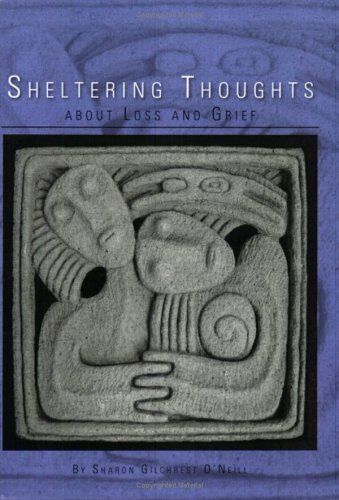 I wish I had a copy of "Sheltering Thoughts" to read after my dad died. His sudden passing was confusing and numbing to me and all of my family. I now keep this collection of inspirational thoughts close at hand. Its passages continue to give me a great deal of comfort whenever I'm missing Dad. This book is my first recommendation to anyone experiencing the deep feelings of grief and loss. Even as the river and the sea are one. Losing a loved one is part of life but a most difficult and emotional time for all of us. Sharon Gilchrest O'Neill has experienced grief both personally and professionally. As a psychotherapist and consultant, she joined the caring group of professionals that founded the first freestanding hospice in the United States. This book is the result of years of professional experiences with those that have passed on and those that were left behind. Sheltering Thoughts is the ideal little book for someone who has recently experienced the loss of a loved one. 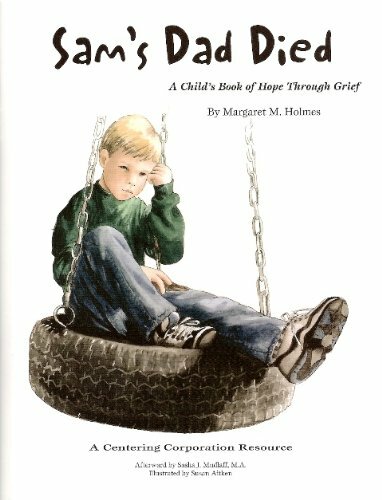 Although a sympathy card is appreciated, this book will help them deal with their grief in a positive way. Each page is filled with inspiration, encouragement and support. 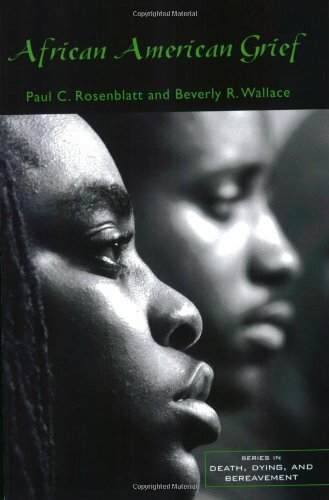 The rhythmic poetry and lyricism make this book an enjoyable read in a difficult time. Famous quotes add interest and retrospect to the message. Filled with heartfelt emotion and a depth of understanding that only one who has worked with the grief stricken could have, Sheltering Thoughts is well written and well presented in 147 pages. The book is small enough to keep in a purse or pocket enabling it to become a comforting traveling companion. A portion of the proceeds will benefit hospice work. Recommended by Reviewer: Shirley Roe, Allbooks Reviews. Like most `Baby Boomers', I find myself at more funerals than weddings lately, so (following the suggestion of an earlier reviewer) I have started keeping a couple of copies of Sheltering Thoughts on hand and at the ready. I never know what to say at funerals (what can you say? ), so I simply give this gift book filled with words of comfort, support and peace. The author's hospice and family therapist experiences and sensitivities are evident in her tasteful assembly of sayings, poems, and lyrics and in her own personal comments as well. When I read it myself, I found it to be a very moving read that stimulated a surprisingly peaceful contemplation of my own mortality. One of the things I like most about this book is the feedback I get from the recipients. Different people are comforted by, and hence remember, different passages but the book seems to be appropriate for anyone regardless of their religious beliefs (or non-beliefs), and in that delicate regard this book is a safe and universal gift. The appreciation from recipients (three so far) has been heart-felt and they said that they too will give it as a gift when the situation arises. It appears that Sheltering Thoughts fills a void not addressed by the traditional bereavement approaches. It is more distinctive, intimate and lasting than a card or flowers, and it is easy to mail when I cannot attend personally. It was written just in time for my generation. Poetry serves a unique role in our lives, distilling human experience and emotion down to truths as potent as they are brief. There are two times most people turn to it: for love and loss. Although collections of love poetry abound, there are very few anthologies for the grieving. In The Art of Losing, editor Kevin Young Kevin Young has introduced and selected 150 devastatingly beautiful poems that embrace the pain and heartbreak of mourning. 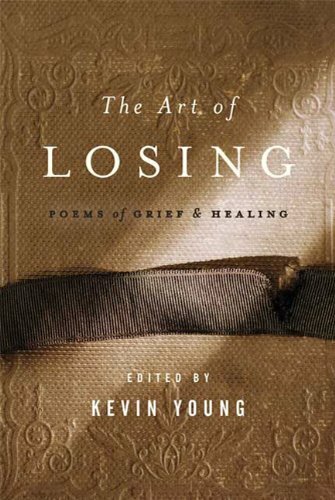 Divided into five sections (Reckoning, Remembrance, Rituals, Recovery, and Redemption), with poems by some of our most beloved poets as well as the best of the current generation of poets, The Art of Losing is the ideal a gift for a loved one in a time of need and for use by ministers, rabbis, and palliative care workers who tend to those who are experiencing loss. Among the poets included: Elizabeth Alexander, W.H. Auden, Amy Clampitt, Billy Collins, Emily Dickinson, Louise Gluck, Ted Hughes, Galway Kinnell, Kenneth Koch, Philip Larkin, Li-Young Lee, Philip Levine, Marianne Moore, Sharon Olds Mary Oliver, Robert Pinsky, Adrienne Rich, Theodore Roethke, Anne Sexton, Wallace Stevens, Dylan Thomas, Derek Walcott, and James Wright. I wanted to read this collection of poems after hearing the author on a NPR broadcast. He was sincere without being sentimental, His thoughts went directly to the feelings you feel and can't express.I suffered the loss of a loved one and it's hard enough to deal with your emotions and then try to convey to those near you what you are thinking and feeling. It's enormous. This book carefully and sensitively puts into words what many of us need to release as we struggle through this common experience. The grieving started the moment we heard thedevastating diagnosis: twenty years ago, brain cancer.We did the best we could grieving together.A book like this would had help us both towards acceptance and healing.I ordered this book after hearing an interview with the author on National Public Radio. I haven't actually read this book, but I've browsed through it.I don't see it so much as a read-straight-through book, but as a reference in times of loss.The poems I've read are beautiful. Grief. That strong and silent visitor, intruder. He comes at any time of the day, during warm afternoons and drowsy evenings. He settles in and chokes the heart. Universally, he will visit each of us. Collectively, we will all have to cope. Kevin Young, a lyrical poet and author of six books, has gathered pain and hope on the page with the voices of some of America's most gifted poets in //The Art of Losing//. The songs of the mourning are fresh and raw, they capture the splendor of the human spirit at its most vulnerable, in anguish. From Emily Dickinson to Etheridge Knight, Anne Sexton to Adrienne Rich, the cry of sorrow washes over the pages, and settles into a harmony of distressed beauty. The collection begins with "Reckoning" and follows the path to "Redemption." Young has selected evocatively gripping moments, laments, and memories and displayed them side-by-side, hovering mourners, all gathered to console one another. I wasn't surprised when I heard that Bloomsbury had asked poet Kevin Young to edit an anthology of "poems of grief and healing." After all, his book, "Dear Darkness" (written following the death of the poet's father) was filled with nuanced and human poems tackling his grief & celebrating the life of his father in surprising and honest ways. Still, "The Art of Losing" exceeded my expectations of what this collection would be. Firstly, I had to admire the wide range of poets: works by old standards like Emily Dickson, Dylan Thomas and Robert Frost, sit next to works newly minted legends Anne Sexton, John Berryman and Frank O'Hara, which are found next to contemporary favorites like Billy Collins, Sharon Olds and Mary Oliver, which are published next to young modern poets Nick Flynn, Elizabeth Alexander and Terrance Hayes. Next, I was grateful for the full spectrum of grief that this book showcased. The book isn't filled only with poems politely eulogizing the newly sainted dead. No: there are poems which unapologetically wrestle sadness, frustration and anger. There are poems which celebrate, which brighten, which make us laugh. There are poems about the long dead, the newly passed and the people who are fading in front of us. It's not a book reserved only for the newly grieving, but a book for anyone who has experienced a loss at any time... in other words, a book for everyone. 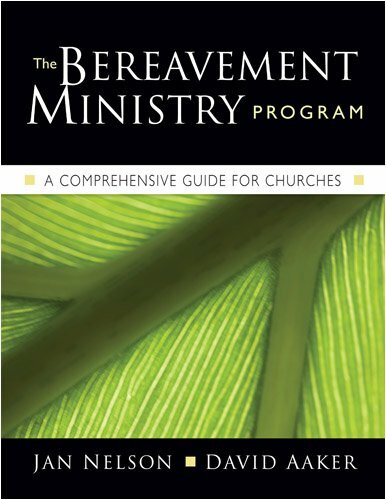 As leader of a bereavement ministry group in Anchorage,Alaska I have found this manual especially helpful and purchased seven copies for my group. Not having had any formal training I felt this book wouldhelp us all with helping other in or works. Illuminating the impact of loss and grief on our psychological and emotional lives, this book provides vital guidance to ease painful transitions and facilitate healing. The author emphasizes that dealing with the death of a loved one involves more than picking up the pieces and moving on: rather, healing is an ongoing journey on which grief is a constant companion. For those in a supportive role, the focus is on helping the bereaved to navigate the grieving process and, ultimately, to reclaim joy as well as sadness as an integral part of life. Filled with personal narratives and examples, the book demonstrates effective ways to help survivors cope with commonly experienced issues, problems, and concerns. Jeff is absolutely right.This book is a comprehensive understanding of different types of grief.It helped me realize and come to terms with my own grief, a large portion I hadn't actualized at the time.I would actually recommend this book to anybody, especially my colleagues in the healthcare field. Where are your warm hugs? Where are your sweet smiles? Where are your funny jokes? To whom will comfort me? To whom will dry my tears? When no one else is near? Are you flying high with the angels? Are you down in the deep dark well? I was given this book by a friend from The Compassionate Friends support group about 3 months after my 17 month old son died unexpectedly. My surviving daughter had just turned 13 years old. The book was very easy to read and understand and gave great suggestions on trying to help a grieving teen regardless of the circumstance. Many grieving teens also have passages in the book that are helpful for me as a mother to try to understand my daughter's struggles. The main thing is knowing that we as parents can't know our teens pain if we haven't experienced the loss of a sibling when we were teens. We have to validate and acknowlegde their pain and suffering. That is very important! After reading Teen Grief Relief I was glad the topic of suicide was brought up. Through this book, teens will realize that sometimes feelings of despair can lead to thoughts of suicide.These thoughts must be talked about to a trusted adult.The signs of depression are listed to help understand when professional help is needed. 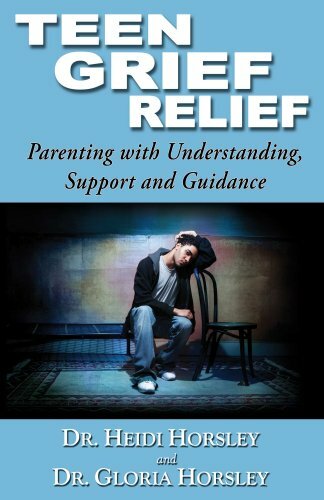 I recommend this book for parents and teens that are dealing with a loss of a loved one. 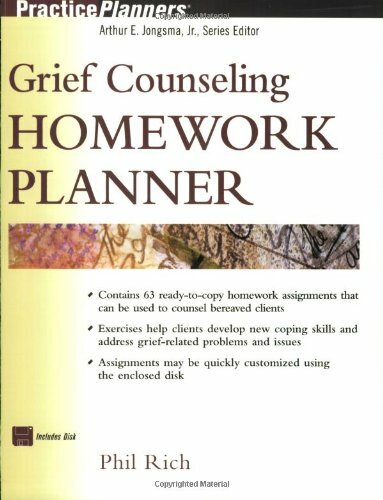 Grief Counseling Homework Planner provides you with an array of ready-to-use, between-session assignments designed to help clients better understand their grief and the grieving process. This is an excellant resource for any counselor.I have already used some of the homework exercises with my clients. The exercises are clear and concise. They can be worked on with the counselor or sent home as homework. The Grief Counseling Homework Planner covers all stages of grief work and can be used as much or as little as needed for your client. 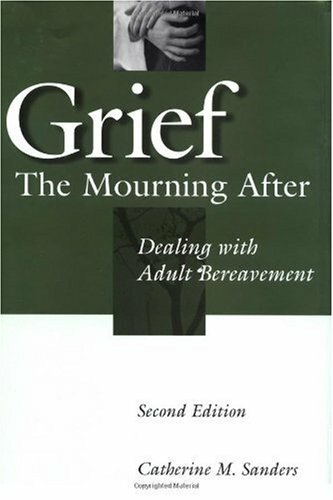 If you're looking for PRACTICAL ideas to help clients who are processing grief and loss, this is an extremely useful book. There are homework exercises for every stage of the grief process - from acclimation/adjustment, through emotional immersion/deconstruction, to reclamation/reconciliation - with summaries of the theoretical underpinnings throughout.The accompanying CD-ROM allows easy print-out of any of the pages. Part of my career involvement is helping people deal with loss. The Grief Counseling Homework Planner is a wonderful tool to help individuals and families to deal with the grief from any kind of loss. I would recommend that it be used advisedly with someone who understands the healing process and can facilitate those who may need guidance through their grief journey. I use parts of it in my work as a hospice chaplain and with community support groups. How to move on after a major loss, such as the death of a loved one, the end of a career, or a health crisis. After author Melody Beattie’s son died, she found herself welcomed into new “club,” a circle of people who had lived through the tragic loss of a child. This was not the first club in which she unwittingly found herself. Years earlier she found herself in Twelve Step groups, first balking, then later embracing the healing principles that she now credits with saving her life. But life, Ms. Beattie writes, is all about change. Not only do loved ones die, but once successful careers can careen out of control and debilitating diseases can rob you of future plans. Smaller losses can take a toll as well. The natural process of aging leaves many people with a depleted sense of worth, and staying abreast with current technologies leaves many people feeling ill-informed and inadequate. To begin with, I never thought that I could get counseling from reading a book, but Melody Beattie is well qualified to provide just that. Earlier, I had read her book CODEPENDENT NO MORE, and that book made me interested in her writings. And I became ware of her book THE GRIEF CLUB after losing my wife in 2003, four of my friends in 2004, and then going through the trauma of Hurricane Katrina and the destruction it brought upon New Orleans. Melody Beattie, in this book, gives excellent directions on how to deal with several types of grief, mostly from the loss of a loved one. As I was reading her book, I kept reminiscing upon the feelings I had after my wife died. I had not sought counseling immediately thereafter, not even after losing my four friends in 2004. Although I eventually sought it and gained a lot from it, I also needed Melody Beattie's book to deal with it. And she is an excellent social worker who uses her writing skills to counsel people. 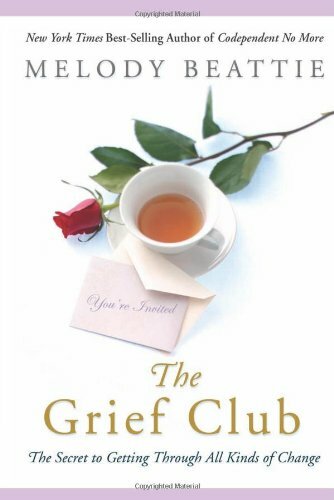 This is a wonderful book that helps the grieving heart.You can pick and choose a particular situation from the Table of Contents and then go back and read the entire book.I recommend it highly. I bought this book because I have been experiencing several losses. THis author is veryw ell known to me and I am familiar with her wisdom. She shared herown personal expeirences and I found that I had a lot in common with her. Tears rolled down my eyes as I read certain passasges. This book can be of help to anyone going through the loss of things like the death of a loved one, relationships, youth, grown children who move away and others. I highly recommenddthis book. This book is not only for those that have lost a loved one but also for everyone who is or has gone through a life changing event.Of course, this includes everyone.The author helps us to see that even though we may be devastated from a certain event - life goes on and we can make a conscious choice to live our lives with joy and purpose. I live in a small town with no bookstore.Our small group from church wanted to start some ministry that would serve everyone.This book is a great place to begin to learn how to be helpful to every person at some time. 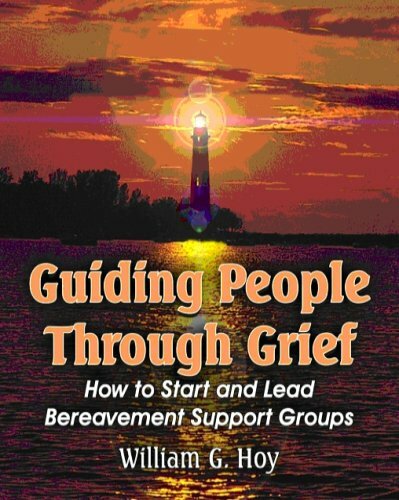 Filled with practical ideas for starting or growing a bereavement support group, Guiding People Through Grief provides simple directions for professionals and lay caregivers, alike. Bill Hoy overviews the grief process using his now famous "compass model" and provides straightforward advice on deciding where, when and how to start a group. From his own experience working with hundreds of bereaved people in support groups, he explains how to deal with problem people in groups, common pitfalls to avoid, and what to do when the discussion "lags." One chapter is devoted to leading grief groups for children and teens. This is an excepionally readable book for professional clinicians who view bereavement issues as the new frontier in mental health counseling. We can never truly be prepared for the death of a loved one. In the wake of grief, we face a whirlwind of emotions, pain and physical symptoms. Best-selling grief authors Brook Noel and Pamela D. Blair, Ph.D. share the wisdom they have gleaned from their own experience and from working with hundreds of people who have survived such a loss. Good book....BUT, the authors both experienced the sudden and unexpected death of a loved one and almost seem to dismiss the death of a loved one from a terminal illness. My mother was diagnosed with a terminal illness just days after she retired and passed away less than 5 months later. This was no less shocking to our family than if she had stepped off a sidewalk and was struck by a bus and killed. Grief is grief and KNOWING that your loved one is going to die from an illness does not change the process. You still ask why, you still feel guilty about all the things you did not or could not do to help them and you still feel hopeless and angry. The notion that my process of grieving would be any different from someone who had lost their loved one suddenly and accidentally is simply not reasonable. 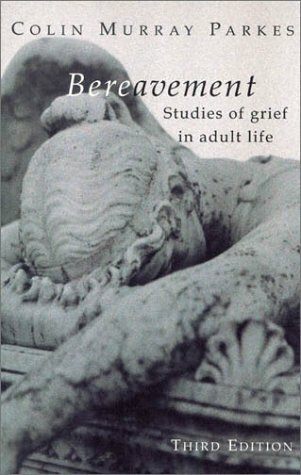 Having said that, I did gain some useful, practical ideas from this book and would recommend it to anyone experiencing grief, regardless of the events leading up to the death of their loved one. Living With Grief: A Guide for Your First Year of Grieving is a brief yet compassionate book written by expert authors who have dedicated their lives to working with people who have survived great loss. Simple tips and advice for dealing with difficult times and seemingly overpowering emotions reverberate with timeless wisdom - don't worry about contacting people, expect to be distracted, understand that grief has no schedule, counsel on how to deal with troublesome dreams, what to do when faith is shattered, and more. A plain-terms guide to coping with an often harsh reality, highly recommended. 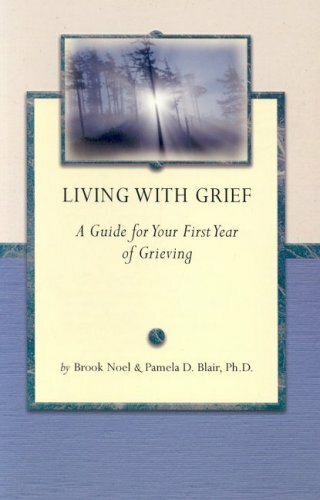 Brook Noel and Pamela Blair have put together a straight forward guide for anyone who is suffering the loss of a loved one. At a time when we are so lost it is comforting to have a book like this one to turn to. Thank you both for your insight into this painful subject, that sooner or later affects us all. I read Kirk Neely's book following the death of my twenty six year old daughter in law. Katie was pregnant with a baby boy when she succumbed to an aggressive form of leukemia. Like Dr. Neely, I've lost numerous relatives over the years, but this particular death devastated me like no other. When Grief Comes provided an understanding of the grief process and God's place in it that I found invaluable. The first section of the book specifically addresses issues unique to sudden death scenerios and enabled me to release myself into a healthy grief, realizing that the river of sorrow flows where it wills until finding its place in God's comfort. The yearning for a departed loved one never completely goes away, but we can eventually live in a new reality. 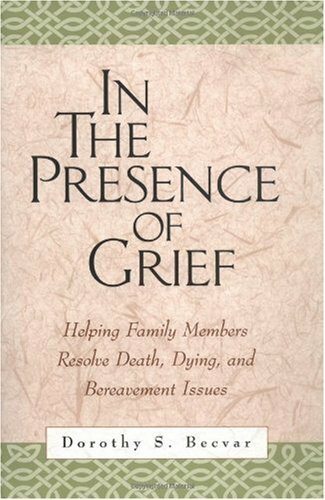 When Grief Comes makes its points succinctly yet contains effective and poignent anecdotes from Dr. Neely's life and ministry. 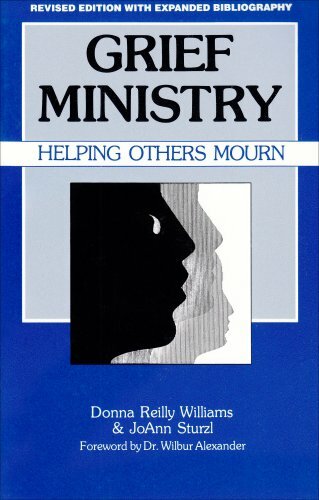 Every pastor or person touched by deep loss should have this book available. It remains on my night stand. Pastor and counselor, Kirk H. Neely, writes with compassion and empathy.In "When Grief Comes", Kirk shares from a heart of understanding and brokenness as he relates the tragic loss of his young adult son, Erik.In his over forty years of ministry, Pastor Neely has counseled hundreds of bereaved and their families, as he conducted services for their deceased loved ones. The format of the book lends itself to reading as a whole or in small portions.The comprehensive table of contents enables the reader to choose a specific area of interest, for personal comfort, for information, or for use in offering encouragement and comfort to others. Part one covers the six stages of the grief process and the phase's of grief during extended illness.Part two deals with attachments and separations, grief in adulthood, and helping children with grief. Part three reminds the reader of the gifts of grace and the tender mercies of God as well as offering hope in the midst of grief.Another unique feature of the book is a compilation of selected Scriptures which offer comfort and encouragement in the bereavement process. In recent years my parents as well as four of my siblings have preceded me in death.Earlier this year, I lost a grandson in a tragic death. This book has given me insights which are helping me through the healing process and sorrow of grief.Of the several books on the subject I have read during these ensuing months, I would put Kirk Neely's "When Grief Comes" at the top of the list as most helpful.